Sports enthusiasts come to Croatia and Bosnia & Herzegovina to be challenged by its many venues for hiking and sailing. 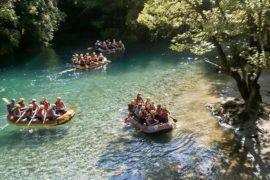 On this multi-active tour you’ll enjoy the natural beauty of Croatia and Bosnia & Herzegovina while experiencing several different sporting challenges. 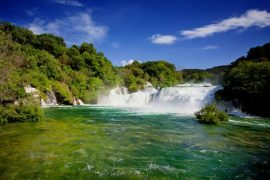 Along the way, you’ll have the opportunity to gain a better understanding history and culture, and an appreciation for Croatia and Bosnia & Herzegovina. Upon arrival, you will be transferred from the airport to a hotel in Sarajevo city center. Balance of day at leisure. Second day is dedicated to exploring Sarajevo. After breakfast, the day will start with exploration of the city, from the famous street of Baščaršija and its stories, to the tunnel of hope from the War in 90’s and visits to other historical sites. One well planed day in Sarajevo is enough time to see its most important sites and to get a sense of daily life. A leisurely dinner in a local restaurant of your choice is the best way to wrap up Sarajevo’s experience. Departure from Sarajevo, heading towards Dubrovnik! On route we will have time to stop for a hike at Blidinje to take a breath of fresh air of the Bosnian mountains. Upon arrival to Dubrovnik you will be accommodated in a hotel close to the Old town. After breakfast, we leave for the Old Town. 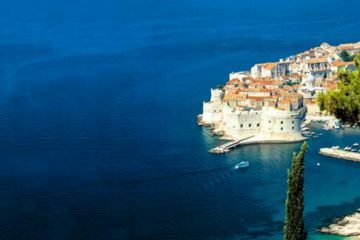 On our extended walking tour with a local guide we explore Dubrovnik, “the pearl of the Adriatic”, its history, and discover why this part of Croatia is so special. In the afternoon we’ll head south to explore the Konavle region, a peaceful area with exceptional beaches only accessible by foot. The late afternoon is reserved for a visit to the mountain Srđ, either by foot or cable car, for one of the most beautiful views of the sunset on the Adriatic. 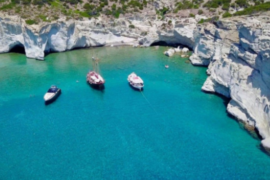 On our first day of sailing, we’ll embark on a sail boat after breakfast and go for a full day sail with an experienced, knowledgeable, local skipper who will take you towards some nearby islands, including Elafitski island. Along the way you may enjoy a swim, take a walk, and have lunch as you see fit. Upon arrival in Dubrovnik, we will have a nice dinner in the Old Town. In the morning we will depart by boat to the National Park of Mljet. Upon arrival a guide will take us to the most beautiful sights of the Park and afterwards there will be enough time to explore the Park on your own, or take a break. In the afternoon we will return to Dubrovnik and depart for the Makarska Riviera. We’ll enjoy a leisurely morning in Makarska before heading towards Split with few stops along the way, on the coast and inland. Upon arrival in Split you will be transferred to your hotel in the city center. We’ll finish the evening walk in the old part of Split, bustling with shops and restaurants. We’ll enjoy a full day of sailing to islands Brač and Hvar, to very different island. Brač is a quiet national park while Hvar is best known as a summer resort with plenty of yachts and tourists. Wrap up the day with a leisurely dinner at a restaurant of your choice. After breakfast we will head towards Šibenik, the oldest city in Croatia founded by Croatians. 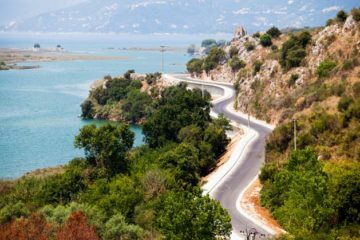 On the way there we will stop in a nearby artist colony and UNESCO site of Trogir. We will arrive in Šibenik in the early afternoon, will have plenty of time for a walking tour in the city center. Šibenik has two UNESCO sites, the cathedral of St. Jacob and the fortress from the 16th century. The National Park Krka is an amazing place to explore by foot. The park is home to some of the most majestic waterfalls in all of Croatia. After exploring Krka we will go to see another small settlement, Skradin, before we go back to Šibenik. Heading towards the end of this trip we will have another easy going day. Taking a private boat we will visit several islands famous for corals and sponges We will have plenty of time to explore each island. This day will also leave some extra time to explore Šibenik if there’s something you missed. After breakfast we’ll set out for a day of hiking in the National Park Paklenica. This amazing place is very popular among climbers and hikers. Numerous hiking trails give plenty of options so we will tailor the day hike towards group ability and desire. Afterwards we will continue to Zadar. Today we will explore something special, National Park Kornati! It is one of the most beautiful national parks in Europe, and consists of a cluster of 89 islands. On this beautiful full day journey we will explore many great places by foot and by boat. We will see some amazing vistas and share with you local stories.We will arrive back in Zadar late in the afternoon. After breakfast we will head towards the National Park Plitvice. Along the way, we will visit another the Memorial center of Nikola Tesla, and his birth place. To get to Plitvice we will drive through Lika, one of the least explored tourist areas in Croatia. 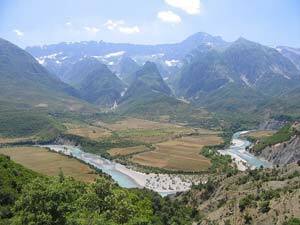 With its many beautiful rivers, mountains, and valleys it is truly a gem to behold. We arrive to Plitvice in the late afternoon. National Park Plitvice lakes is a series of 16 cascading lakes and waterfalls that offers extraordinary views. It really takes a whole day to explore this extraordinary place. This National Park is one of the most visited in Croatia but for a reason so it’s good to be among first visitors in the morning! After exploring the park we will start to head to Zagreb capital of Croatia. After breakfast, dependable on your travel plan, you can either explore a little bit more of the city or head towards the airport/next destination. This itinerary is subject to change due to weather conditions, group/individual abilities, current conditions, and/or events of special interest.